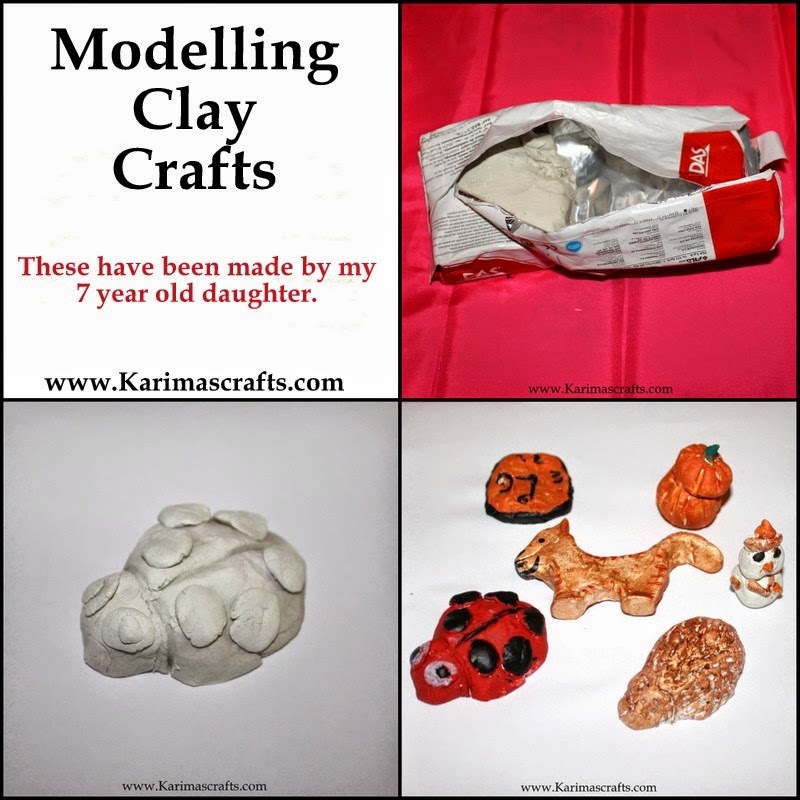 My girls had great fun with the modelling clay at the weekend. We have never used this before and had wanted to give this craft a go! The girls really enjoyed making their designs and painting them. We mainly used the air drying clay which was easier - we bought the make DAS which is sold locally. The photos I am showing are the designs made by my youngest daughter. My eldest daughter will be making her own blog post on her own blog later in the week I think insha'Allah. The photo below shows the girls both working on their designs. I used a cheap pink shower curtain to cover the dining room table because last time the paints were out they ruined my table cloth! We used acrylic paints to paint the clay models once they had dried.